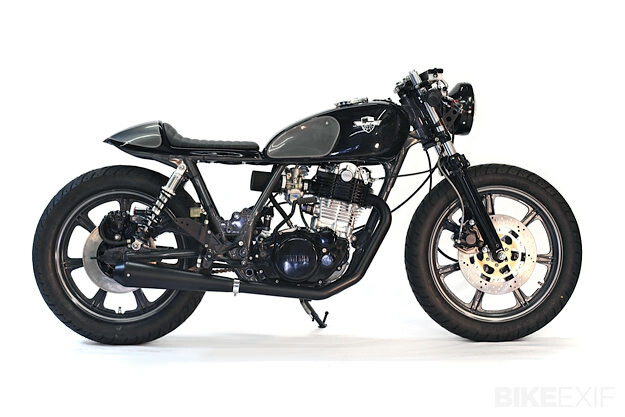 It’s hard to believe that this lean, purposeful café racer started out as a beaten up 1978 Yamaha SR500—an ex-AHMRA race bike that was standing in Chris Chappell‘s Los Angeles shop. Despite the fact that it had a pink FZR front wheel, Ninja rear wheel, no side stand and no exhaust, client Andrew Ehlers saw its potential and chose it as the donor for his dream build. Everything aside from the frame and engine was ditched, and the build was under way. 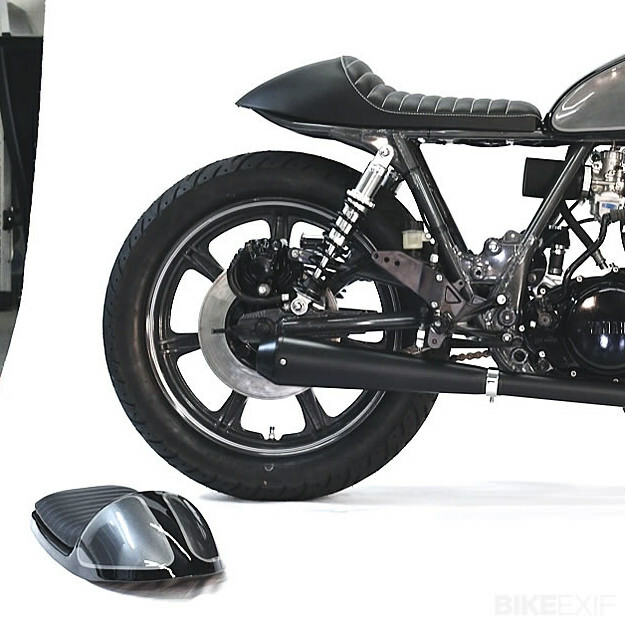 “Andrew was still on crutches and in an arm cast at this point”, says Chappell, “so time wasn’t really an issue.” An XS650 front end was grafted on, rebuilt with new seals and progressive springs, and powder coated mirror black. The rear end received brand new Works Performance shocks and the bike now rolls on stock SR mag wheels. 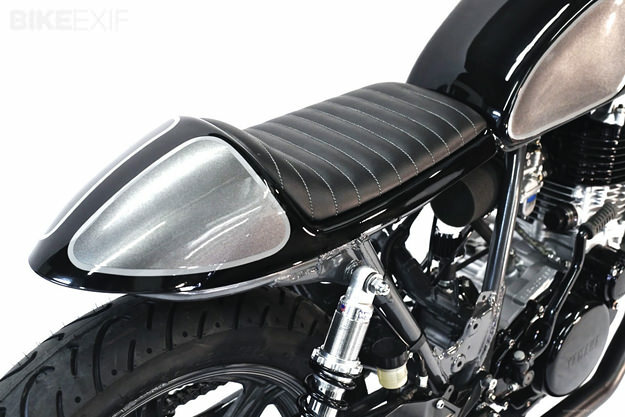 Ehlers had never been mad about the RYCA’s fuel tank, and had always wanted a more traditional café racer look. Chappell obliged by painstakingly hand-pounding knee indents into the Yamaha’s stock tank. But the biggest challenge was the seat. “We had a few café seat pans laying around and, honestly, they just didn’t fit the bike the way they should,” Chappell explains. The solution was to build a vacuum forming machine, make a new mould and create the perfect seat for the bike, wasting a ton of materials in the process. Chappell Customs now use the machine to produce their own line of custom seats, available from their new online store, Tuffside. The frame was de-tabbed and modified with a new rear loop, while clip-ons and ZX-10 rearsets were fitted to improve the riding position. Both the frame and the wheels were then powder coated ‘Gunmetal Pearl,’ while the exhaust header and reverse cone muffler were coated black. The bodywork was finished off in gloss black, with metallic gunmetal accents. 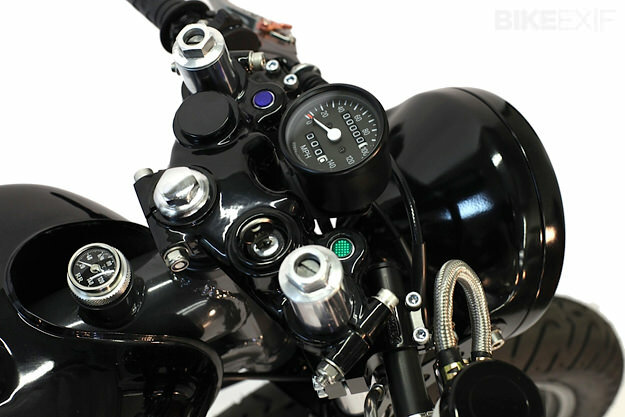 Chappell also fabricated a neat front sprocket guard, and modified the triple clamp to house the ignition and ‘idiot lights.’ A new wiring harness was installed and the battery eliminated to shave additional weight. At its heart, the SR is still a race bike—with a 540cc piston kit, ported head, race cam and valves, along with a new clutch, carb and intake. Not surprisingly, Ehlers has nothing but praise for Chappell: “He really is a talented builder. He listened to what I was looking for and made all of it happen”. 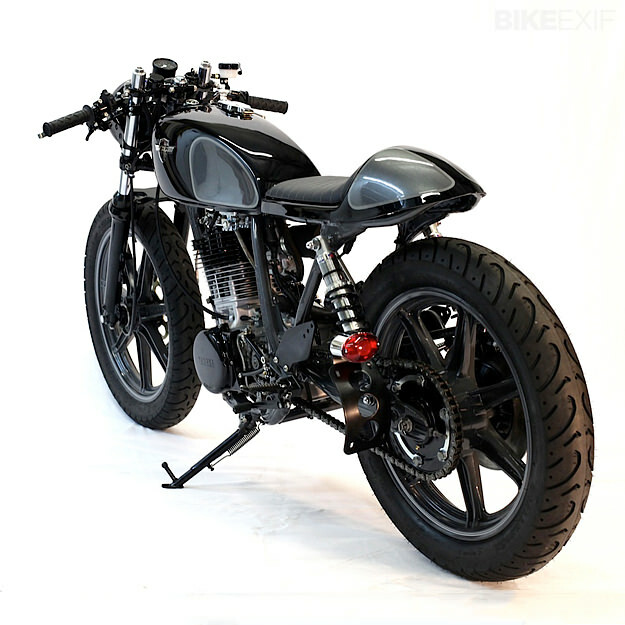 Head over to the Chappell Customs website for more images of Rob and Chris’ builds.